Hot Doug’s will live on in Chicago. The famous hot dog restaurant nestled in the city’s Avondale neighborhood will be enshrined in the Vienna Beef Hot Dog Hall of Fame, Vienna Beed announced Tuesday. The induction into hot dog stardom is set to take place Thursday. The iconic encased meat eatery announced earlier this year that it will be closing its doors for good in October. The news came as a shock to many Chicagoans and hot dog enthusiasts as the restaurant is often booming with customers, with lines stretching down the block. The restaurant was most recently named on the Daily Meal’s list of the “50 Best Casual Restaurants in America and has generated what some have called "cult fandom." 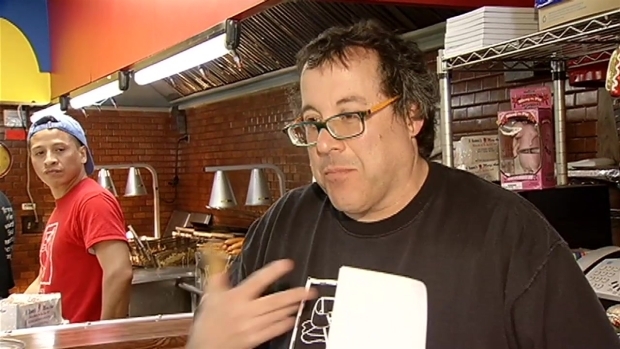 Hot Doug: "It's Time To Do Something Else"
Hot Doug's owner Doug Sohn tells NBC 5's LeeAnn Trotter why he decided to close his popular hot dog joint. With only 38 days until closing, according to the RIP Hot Doug's countdown clock on their website, the restaurant said it was surprised to hear of their new honor.